As we walked by Pasta Deli right after we moved to Berlin (it is located very close to our gym) we noticed a huge and constant line of hungry patrons inside. That sparked our curiosity, of course. 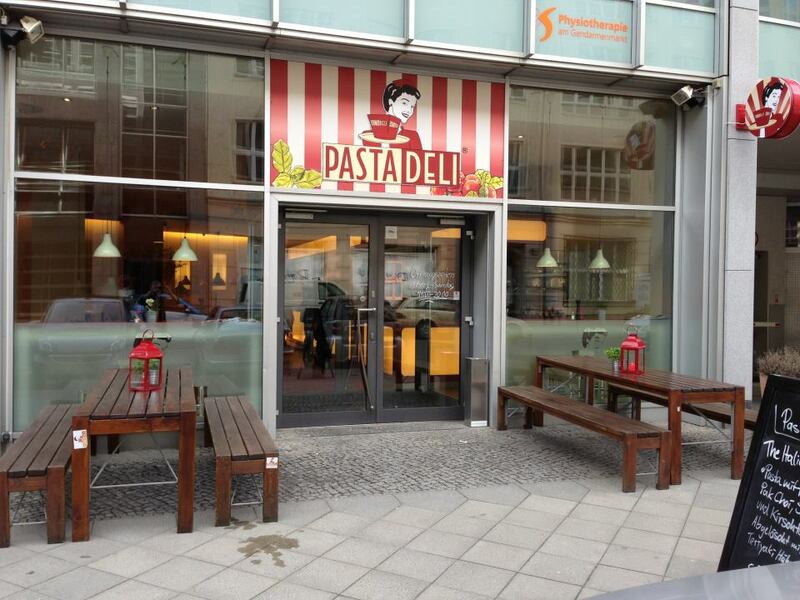 Pasta Deli is an Italian “fast food” restaurant located in the heart of Mitte’s shopping district. This prime location will normally cost you, but not here. If you are looking for a good value, honest and tasty quick meal, this is a good option. A convenient stop if you’re either shopping around Friedrichtasse or enjoying the air of Gendarmenmarkt (one of Berlin’s most beautiful squares). We sometimes come here after we work out (well…eating pasta right after working out is probably not the best strategy but who cares?). The system is quite simple and the staff is super efficient. Pick your sauce flavour, your pasta type and wait a couple of minutes (they will ask you if you want herbs and/or cheese on top). Your dish will be made to order right in front of you. There are also a few salad options available if you are looking to have a less carbs-rich meal. Simple, to the point, no frills and tasty. Needless to say, this places gets quite busy around lunch time. Either get there before 12:15PM or after 2:00PM. Or just have fun and enjoy a nice hectic and yet friendly atmosphere while waiting in line. Pasta deli is owned by a super nice, hard working and involved German entrepreneur called Thomas. He can often be spotted helping out the staff. They do have a couple of other outposts, including 3 in Russia. However, we have only ever eaten at the one in Berlin Mitte. Check their website for more details! 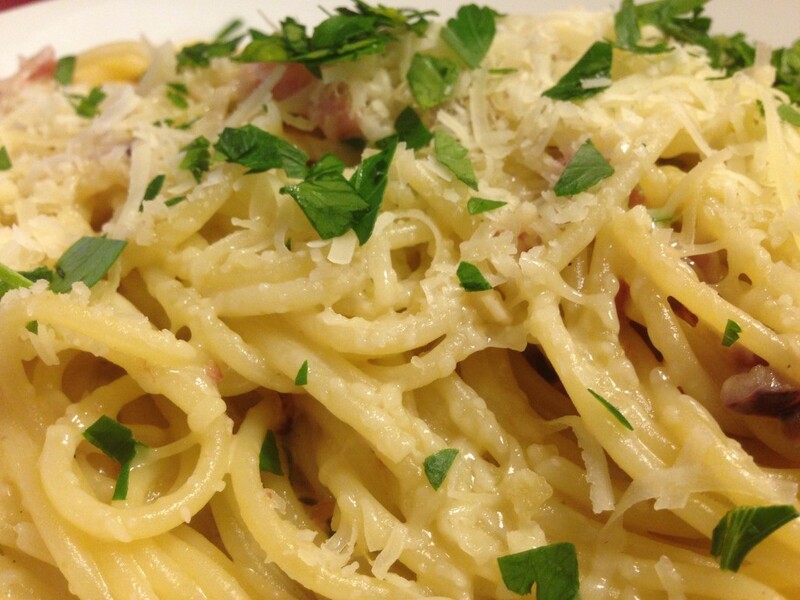 What we like to order at PASTA DELI: Spaghetti Carbonara or Red Hot Chili Chicken Penne.